I also tried a version with octopus which I had my doubts about but was delicious. 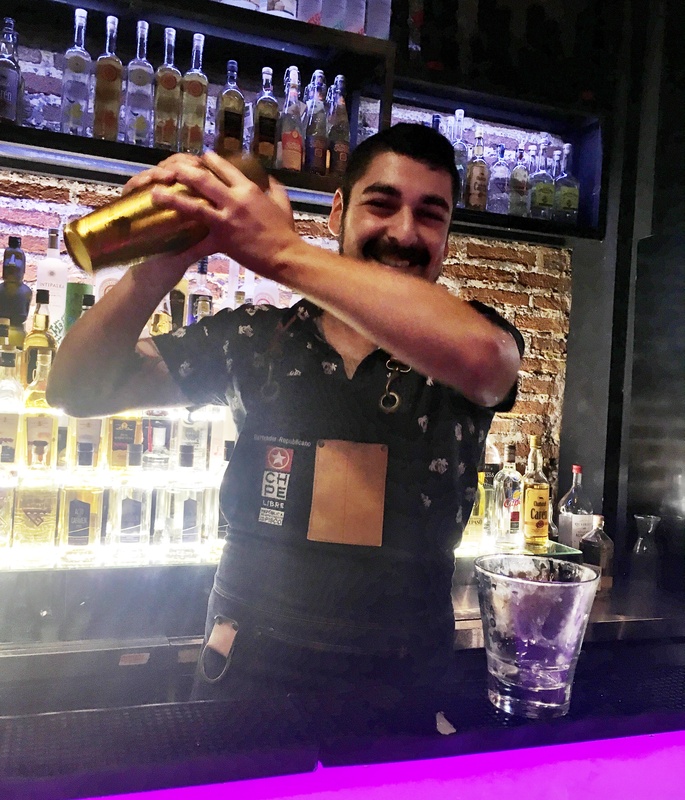 A former President of Chile once referred to creating ‘a revolution with the flavour of red wine and the scent of an empanada’, which sounds exactly like a movement I could get behind. The seafood in general blew me away in Chile, as did the ridiculously low prices. I loved wandering through the Mercardo Central and peering at the interesting marine life, including sea urchins, abalone and razor clams. In Sydney you will pay $30 for the privilege of having one or two sea urchins daintily adorning your plate. 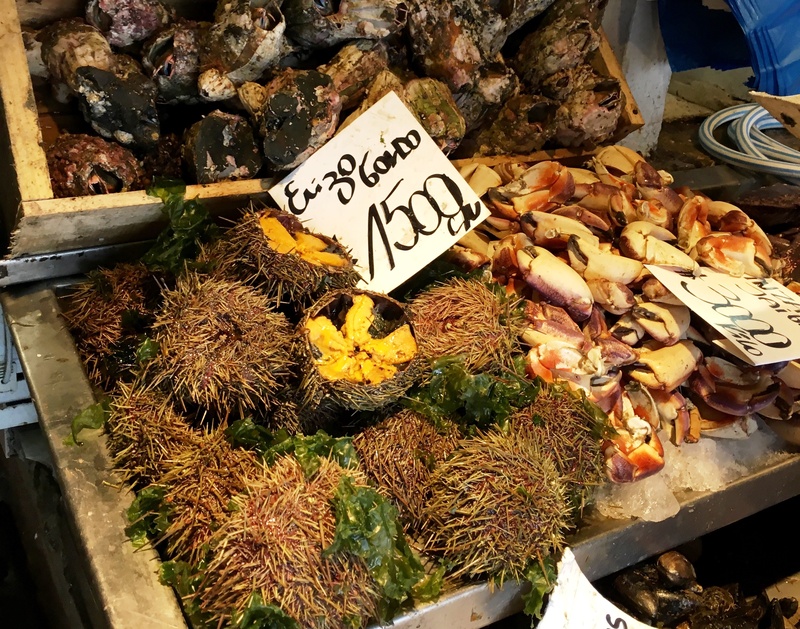 In Santiago (at a very decent restaurant) I paid the equivalent of $10 for a BOWL of sea urchins, locally known as ‘erizo’. It made me feel like I was swimming in Krug. The sea urchins had a rich, creamy texture and a sweet, slightly briny flavor. Perfect with a squeeze of lime and not much else. I still salivate as I think about it. My Chilean insider Rodrigo gave me a list of food to try and top of that list was the Pastel de choclo. 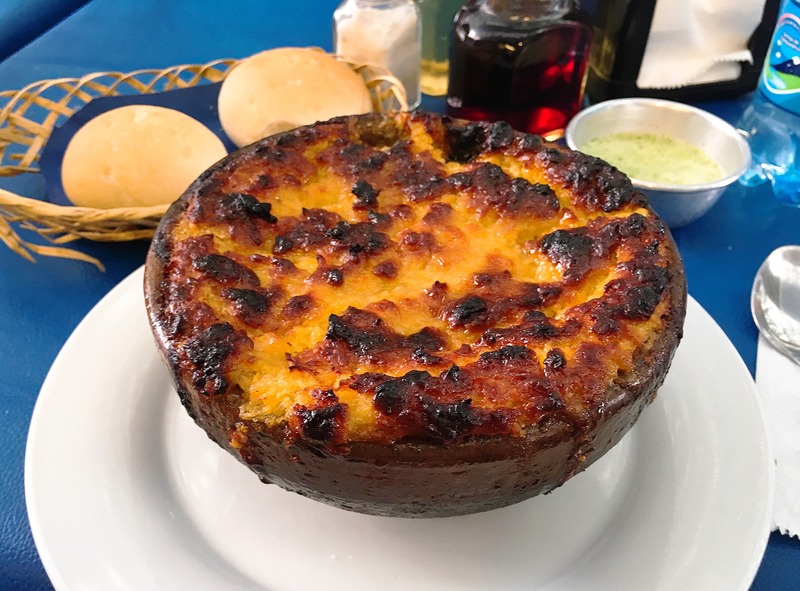 Pastel de choclo has been nicknamed the Chilean version of shepherd’s pie as it follows the same construct of a meaty base and carby topping. In this case the base is a mix of meats – mine had ground beef, pulled beef and chicken along with onions, olives and that surprise hard-boiled egg again. 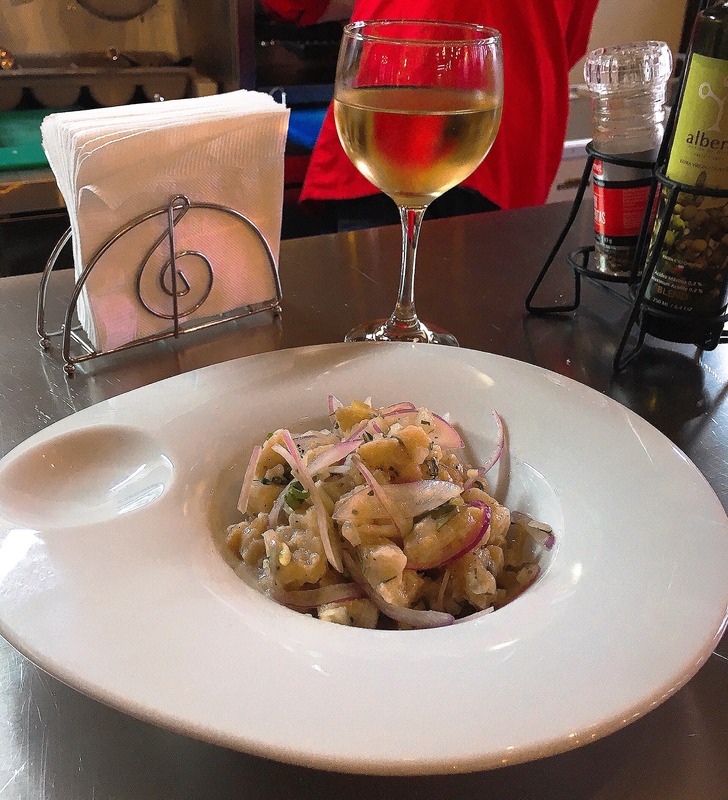 Instead of potato mash the topping is a thick layer of creamed corn, usually choclo corn from the Andes. 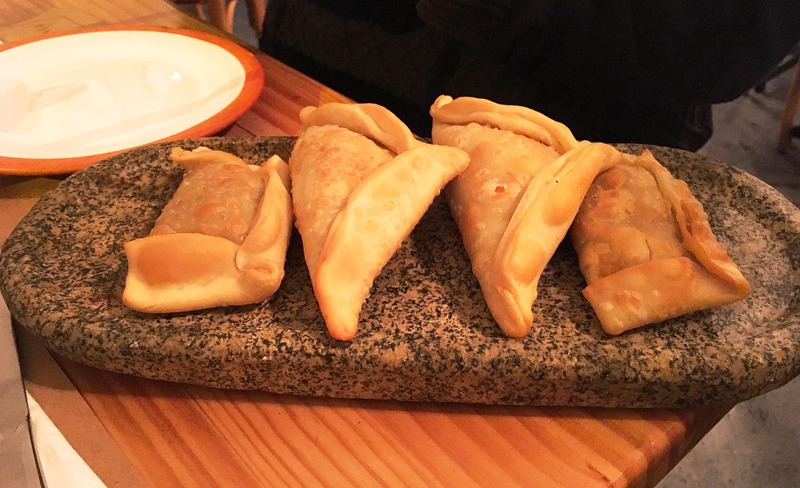 Inside the pastel de choclo – different meats and that rich and sweet corn mash. The result was a sweet and salty attack of flavours and textures that were incredibly good. I especially couldn’t get enough of the corn mash which was caramelised to perfection. 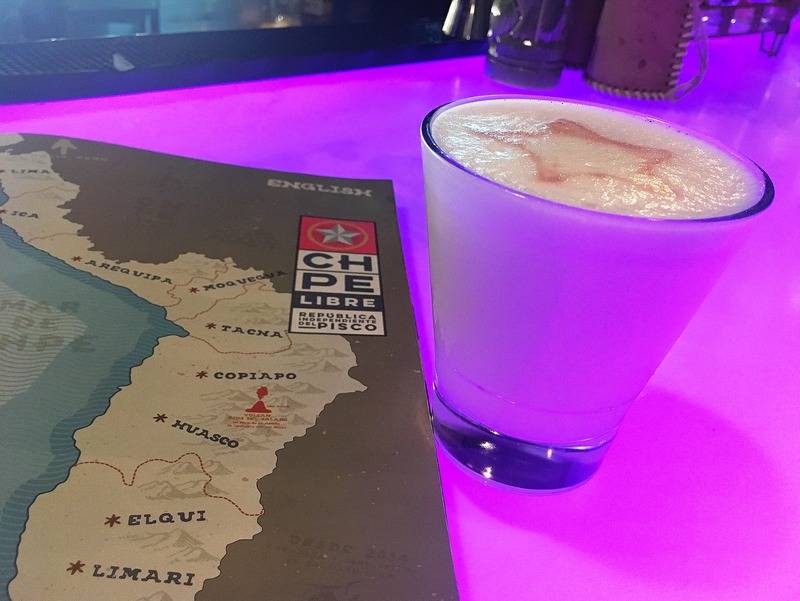 I’m calling it – it was the most delicious thing I ate in South America. It was also the very last thing I ate in South America before stepping on a 14 hour plane home and I was still full when I arrived. I suspect the portion easily could have fed two people, rather than one greedy Aussie! 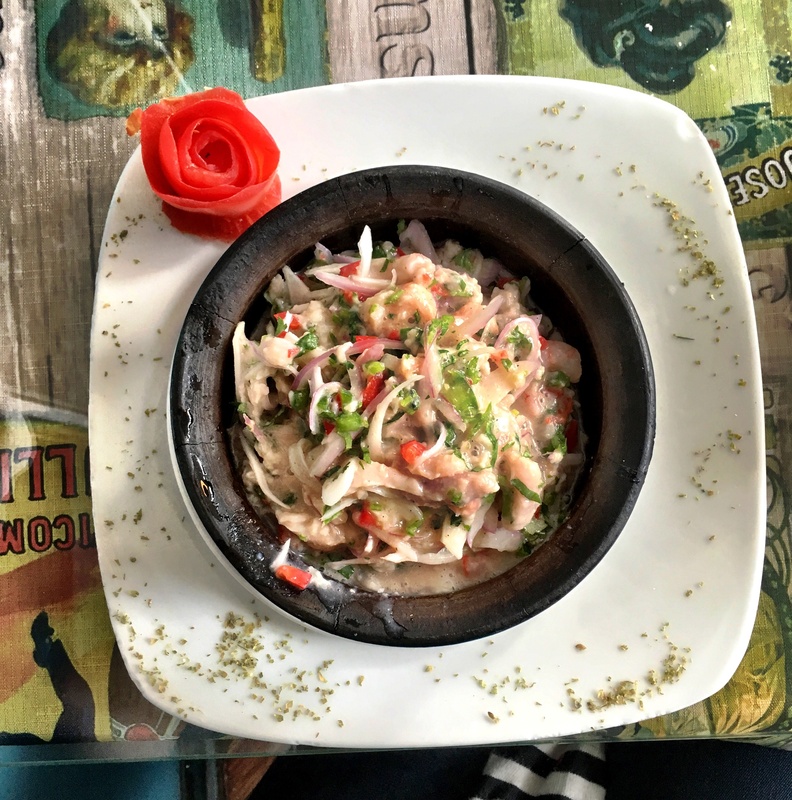 I will make ceviche for you the Chilean way! Pastel de Choclo sounds great and I’m disappointed that I didn’t know about it! 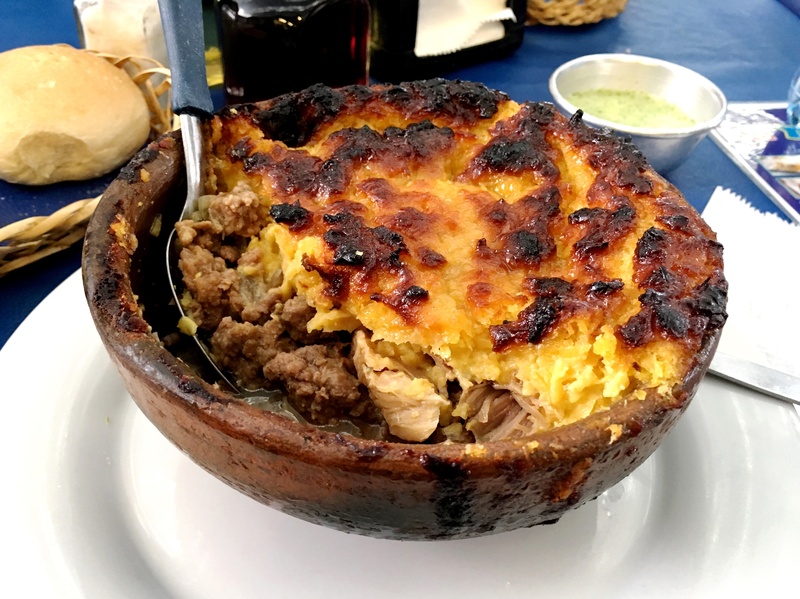 I loved all of the seafood in Valparaiso (and even fad great Japanese our first night in Santiago) but that meat and corn topping would have been the perfect way to warm up over there. Next time I’ll do my research before I go! It wasn’t the easiest thing to find as I think it’s more a home cooked dish there but the markets are always the best place to start as that’s where I tracked it down. 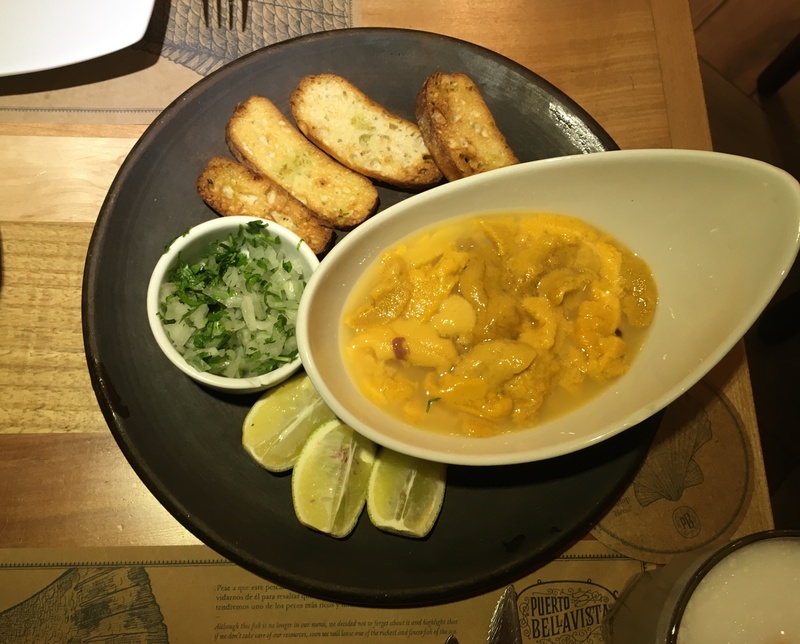 I must discuss with you my first ceviche experience in Peru… when we catch up in The Rocks! 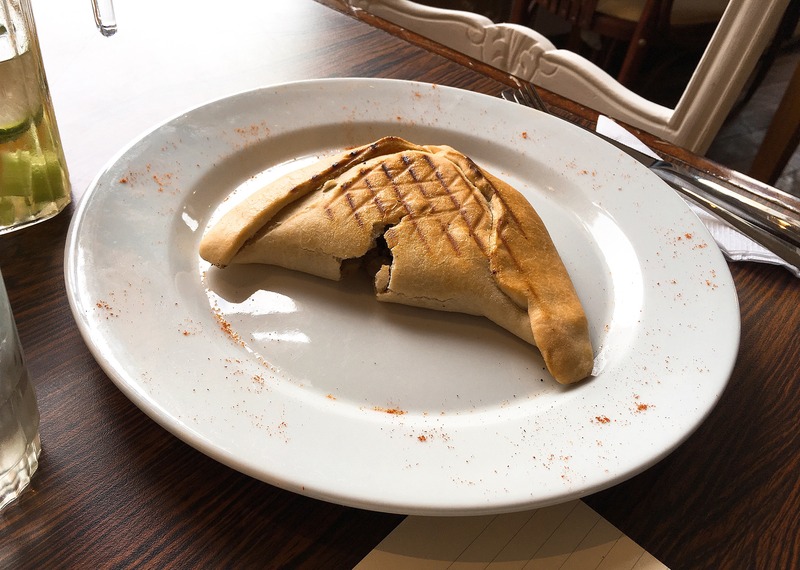 And I love an empanada, I also first sampled in Argentina, and love the look of the pastel de choclo – seeking a recipe tonight!! Let me know what you find and if it’s any good because I think this might become my winter staple!